In the first Foul Locales we explored the Urban Blight! 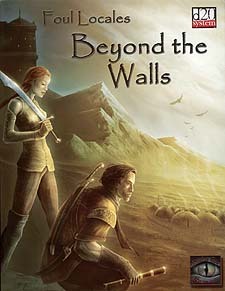 Now dare to venture Beyond the Walls in the follow up to our award nominated Foul Locales line. Inside this tome you will find more than a dozen highly detailed locales that you can insert into the worlds of your campaign. Warning: This product contains supernatural themes and graphic content. Reader discretion is advised.